Spend $500 or more at Litter-Robot.com using Amazon Pay and receive a $50 Amazon.com gift card! December 1st through December 12th, we will be giving away $1,598 in prizes each day to two lucky winners. Two lucky winners will win these prizes each day! The Promotion is open only to legal residents of the 50 United States and the District of Columbia, who are 13 years of age or older as of date of entry. Click here for Official Rules. Click on today's date to enter the daily sweepstakes. 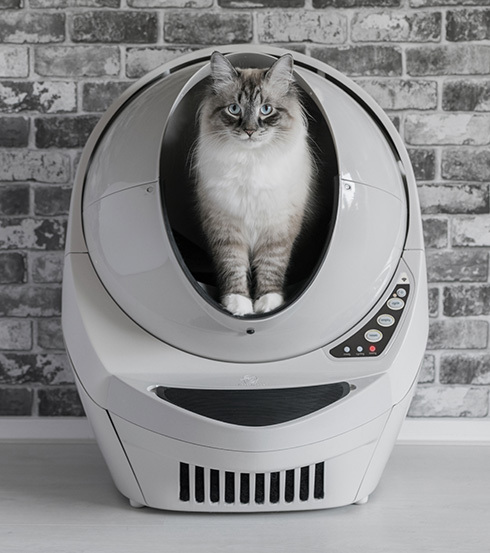 The Litter-Robot 3 Connect is a WiFi-enabled, automatic, self-cleaning litter box for cats. The Connect app gives you additional freedom from your litter box duties by allowing you to remotely monitor and control your Litter-Robot. 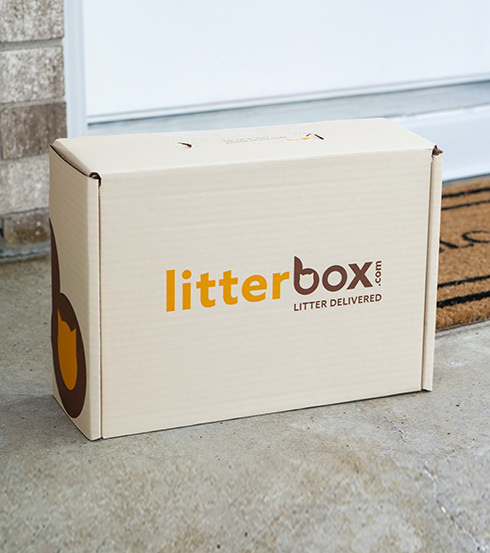 Receive 1 box (20 pounds) of Litterbox.com premium, all-natural clay clumping cat litter right to your door every month, for the next 12 months. I don’t live in the US. Can I win? The contest is open to residents of the United States only. Please see the Official Rules for complete details. Each day’s (2) winners will be announced the following business day. During the promotion period, we will use third-party software to randomly select two winners from the eligible entries received during each day’s contest. Winners will be notified via email and their names (first name with last initial) will be featured on Litter-Robot social media accounts. Do I need to enter every day? Each day is a new contest. Entries on one day do not carry over to any other day. Enter each day’s contest for a new chance to win. Do I have to complete all activities? Complete at least one activity to be entered in the promotion. You can complete multiple actions for additional entries. See the Official Rules for complete details. I do not want to enter the contest through my social media accounts or with my email address. Can I enter offline? No. The promotion requires that you enter online. Click today’s promotion button to see how to enter.